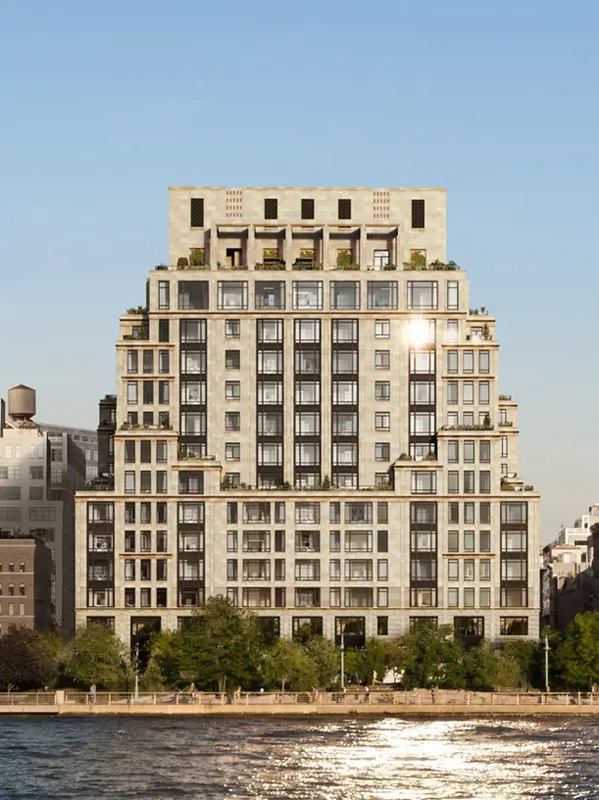 Large apartments, some with fireplaces, in a limestone-clad building in TriBeCa overlooking the Hudson and designed by Robert A. M. Stern. A broad, bulking building, it has a 6-story base along West Street topped by five setbacks with a large pergola on the top floor. Apartments range in size from about 1,700 to more than 7,000 square feet.